Back in March 2014, we had all heard about the unfortunate accident that resulted in Pakistan’s First Miss Veet model turned actress Sana Khan’s death as the car in which she and her husband of three months Babar Khan were travelling enroute to Hyderabad crashed fatally. 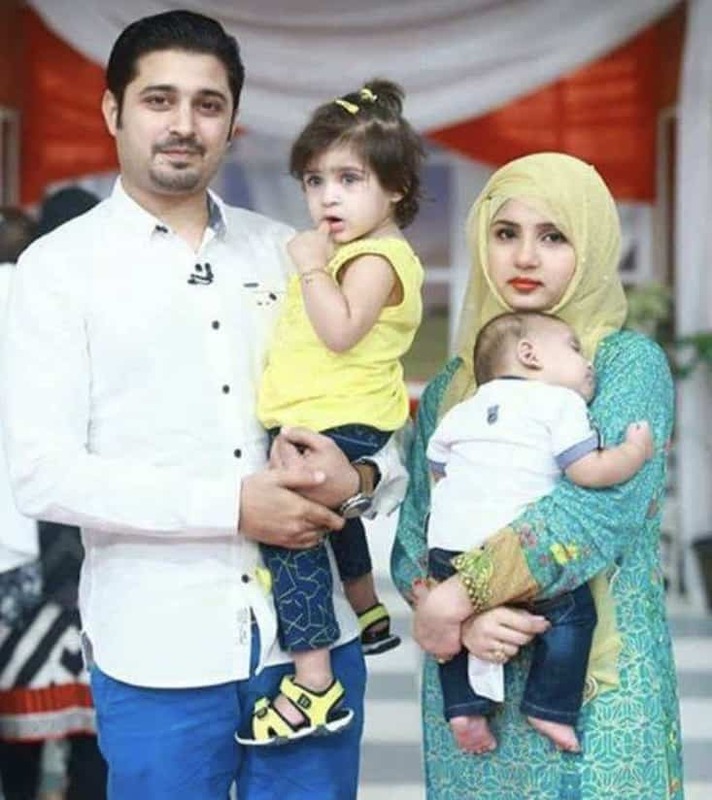 Then, in 2015, we got to know about Babar Khan’s second marriage to a girl in her teens, Bisma Khan. 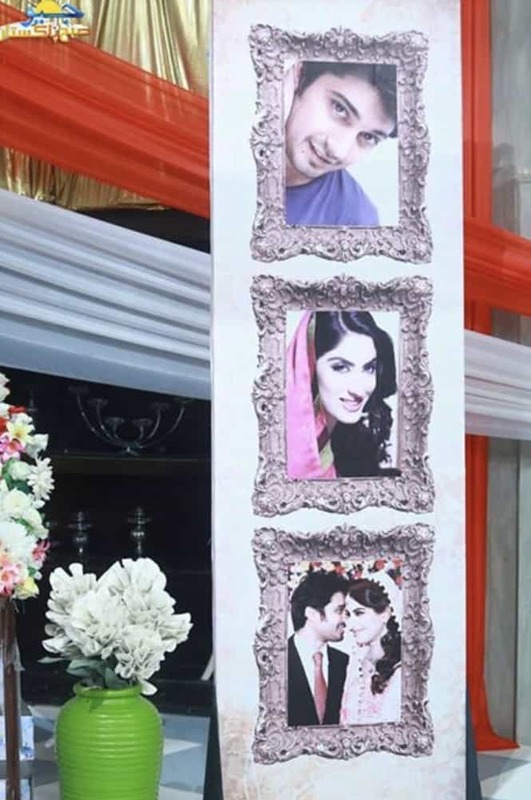 Babar had been out of the show I scene since Sana’s death, hence these news remained news and nobody knew the real story behind them. 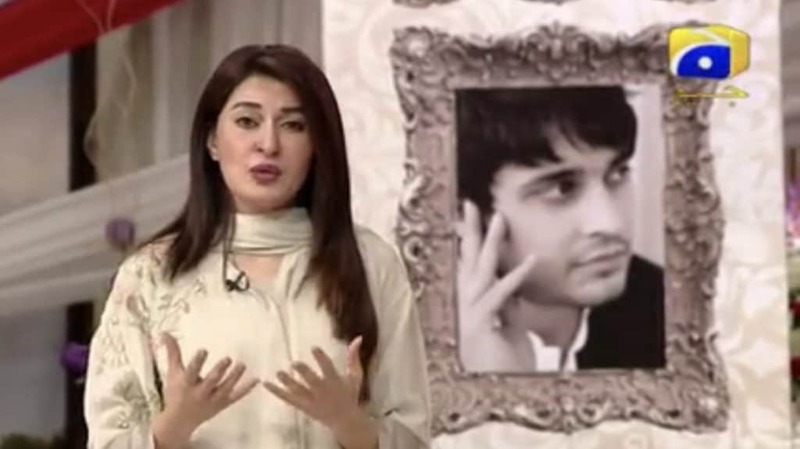 Today, in Shaista Lodhi’s morning show, Babar Khan made an appearance and talked about everything that happened in his life since that unfortunate day. His was a love marriage and they had merely spent three months together when Sana unexpectedly left him for her eternal abode. Babar was extremely honest and vulnerable today by speaking of how it effected him. He told her that Sana’s demise had left him so depressed that he tried to take his life on many occasions after that. The aftermath of accident left him suicidal to the extent that he took sleeping pills and searched for different ways to attempt suicide while escaping the friends and family who swarmed him everyday, afraid for his own safety. Shaista had also called his mother, Ishrat who spoke of a mother’s pain as she saw her only child slipping away in depression helplessly. She told of the day of accident when Babar refused to recognise anyone else except the dead body of his beloved wife. He had spilt open his head in the accident which he never got stitched and the wound got infected and he also developed seizures due to a blood clot in his brain as he did not want any medical intervention for himself after Sana’s death, so intent was he on passing away with her. He seemed like an extremely loving husband to Sana, but sadly she could not live long enough to indulge in his love and care. Their love story and his condition after her death seems like one out of movies but it is true and very very saddening. 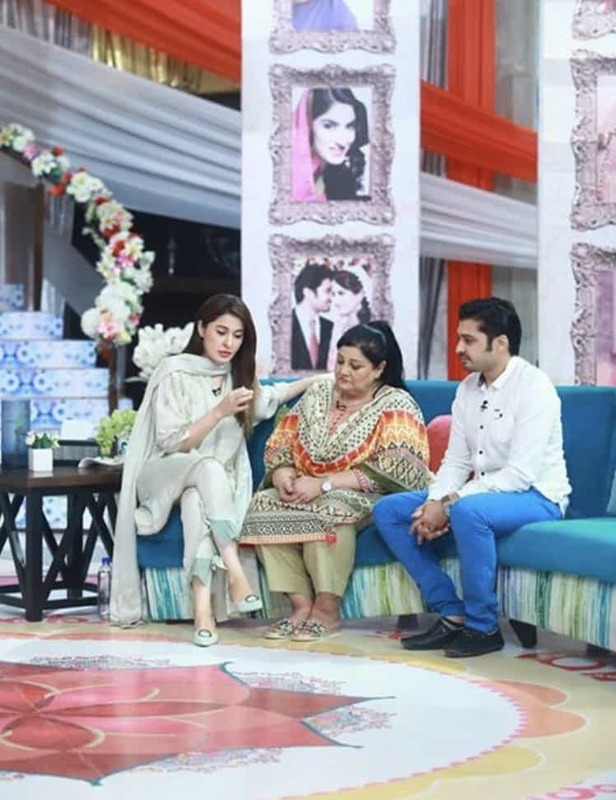 Shaista Lodhi then called Babar’s second wife Bisma and their kids Maryam and Ibrahim on the show. Babar told her how the birth of his daughter Maryam gave him the courage and happiness to move forward in a life that had lost all charm for him. 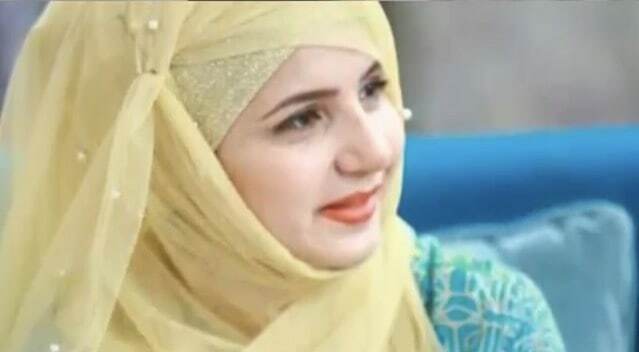 Bisma Khan is a beautiful young girl who got married to him after her matric and did inter later. The two married in 2015 and she is already a mother twice. 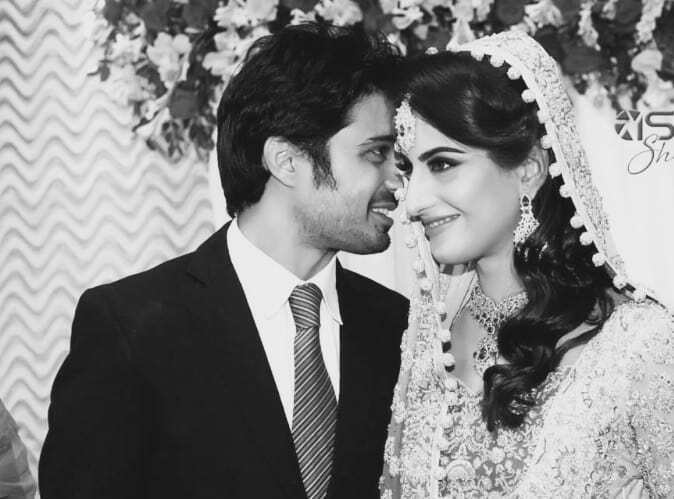 Speaking of her experience with Babar Khan, she told in a gentle manner that she agreed to this marriage for her parents’ sake and that Babar had already told her about his love for Sana which she understood. 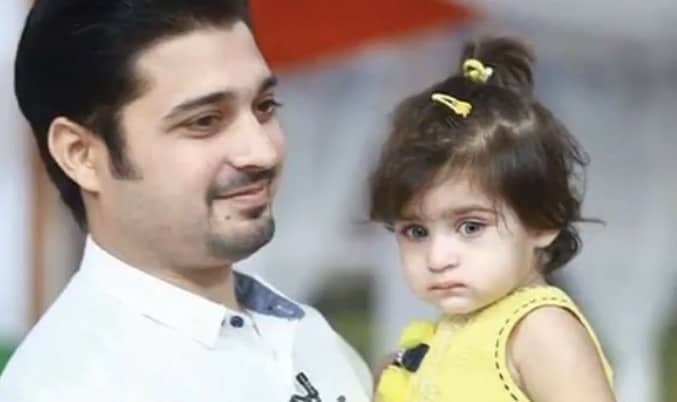 The adorable young bride told that she had found it confusing and difficult to adjust with him earlier and even through pregnancy but when Babar took their little girl in his arms for the first time, he was a changed man altogether. Shaista then probed them about their love life and made Babar say romantic dialogues to Bisma which seemed a little forced, even though he appears to be a good and caring husband for his second wife as well, even though not as romantically inclined, which makes a lot of practical sense. His union with Sana was stuff made out of dreams, mystified more by her early demise. His marriage with Bisma is based more on life’s practicalities, especially since they are parents to two under two at the moment. All in all, it was one of Shaista Lodhi’s best shows where the guests and even the host actually had a real topic to talk about. It was a sad but meaningful one and you walk away with the messages of not taking any loved one for granted as life is very unpredictable and that it goes on. People closer to you than life pass away but life goes on.